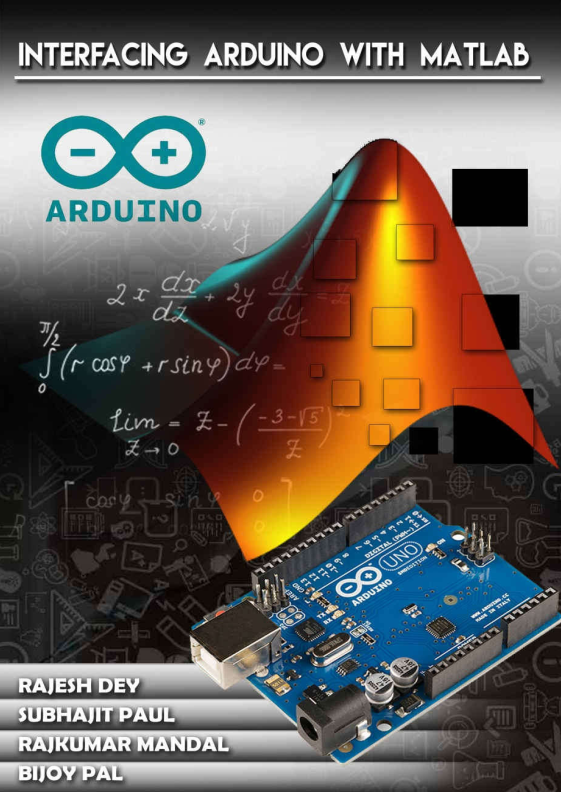 This book has been written to have a knowledge regarding MATLAB and Arduino based some projects. MATLAB (matrix laboratory or grid research facility) is a multi worldview numerical processing condition. An exclusive programming dialect created by MathWorks, MATLAB permits grid controls, plotting of capacities and information, usage of calculations, a formation of UIs, and interfacing with programs written in different dialects, including C, C++, C#, Java, Fortran, and Python. A microcontroller is a single-chip computer. Before the invention of the microcontrollers most intelligent systems were premeditated using microprocessors. In this era, Arduino is a very popular microcontroller, for its easy to access and the open source activities and also the programming language to boot the microcontroller is very easy So that any person can build their project through Arduino. In this book has been written to interface the Arduino module with MATLAB programming language Chapter 1 provides a basic idea based on MATLAB programming language. Few Pages From Book ……..